Free Shipping Included! 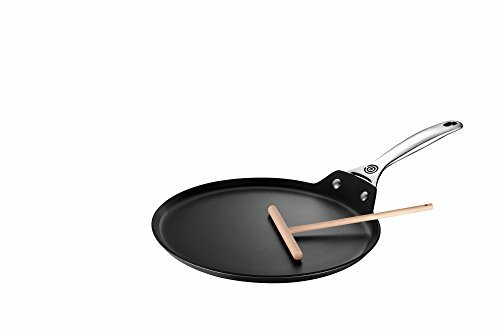 Save 1% on the Le Creuset of America Toughened NonStick Crepe Pan, 11'' by Le Creuset at Just Gathering. MPN: 607466-TNS2100-28. Hurry! Limited time offer. Offer valid only while supplies last. Le cresset toughened nonstick aluminum cookware features patented, extra tough, PFOA-free, non-stick coating which is superb for food release.